Prairie Paper & Ink: WaffleFlower April Release Blog Hop! WaffleFlower April Release Blog Hop! Hello everyone!! 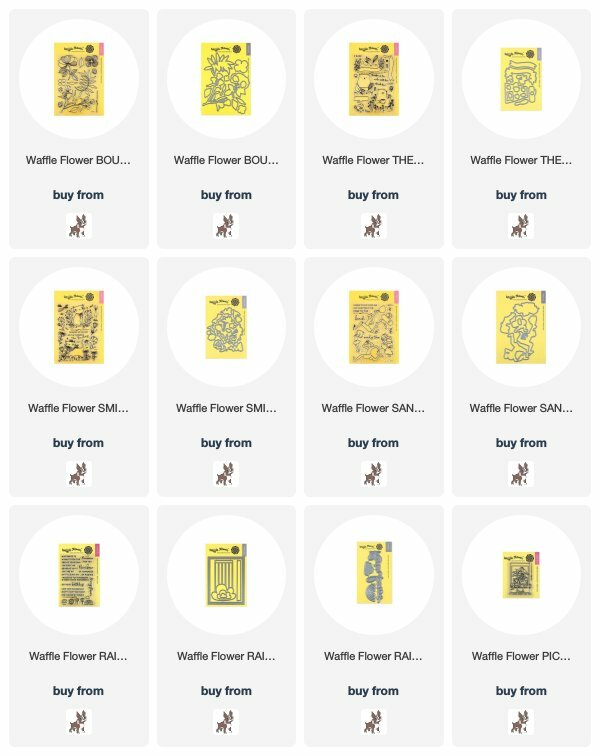 Waffle Flower just released a bunch of fabulous new stamps and dies this month, and hey asked if I'd like to participate in a blog hop to celebrate (to which I said yes of course!). If you didn't get here from Amanda's blog <-----click! you can check out the list and all the links down below!! There are coordinating dies for this set, and as tempted as I was to stamp and color and die cut and make all manner of bouquets for my cards - I wanted to stamp the images onto watercolor paper with brown (not black!!) hybrid ink and watercolor them in. So that's what I did. I built up the colors with layers of watercolor using my Micelle Mission Gold watercolor palette - not trying to keep everything neat and in the lines! I was just thinking how great these cards would be for Mother's Days cards if you switched out the sentiments (or any occasion really - I love me some floral and greenery images b/c they work for everything). I did the same thing with the second card just different images from the set and more green. I used Waffle Flowers A2 Nesting Rectangles 1 wafer die set to cut out the panels after everything was dry. The largest die in the set IS A2 sized so it will completely cover the card front and has that perfect stitching detail. I also added some sparkling clear sequins and sentiments from the new Rainbows stamp set that I white heat embossed on black card stock. I finished off the insides of the cards by stamping the images in MFT dye inks in similar colors to the watercoloring I did on the outside, then added another heat embossed sentiment from the Rainbows stamp set and that was it! The next stop on the hop is Channin's blog! <-----click! To celebrate the blog hop, Waffle Flower is giving away $25 gift certificates to FIVE lucky winners. To be entered in to win just leave a comment on this post (and to increase your chances of winning make sure to leave comments on the other hops posts as well!) by 11:59pm ET on 4/9/18. Winners will be chosen at random from the comments left on any of the posts on this blog hop and will be announced on the Waffle Flower blog on 4/11/2018.